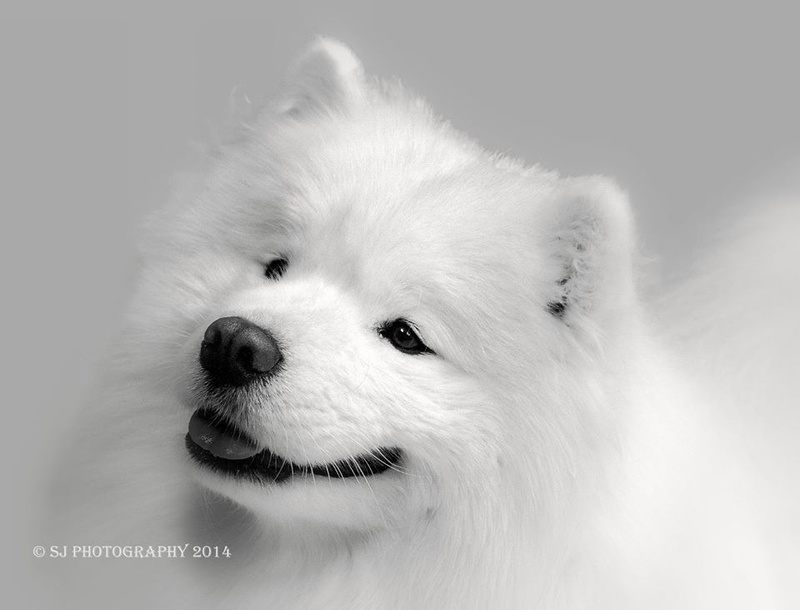 The Samoyed is a medium sized working dog, a picture of beauty, with a thick stand-off coat, strong body, and the most attractive smiling face. They have a delightful temperament, and are always seeking attention. They are very active, mischievous and inquisitive, and just want to be by your side, and be part of the family. They need regular exercise, and will quite happily take up as much of your time as you can give them. A real companion, always willing to please and never showing aggression to mankind. They have an excellent reputation for being good with children. However, if they do become bored they can become naughty and be destructive in the house, dig up the garden, and bark incessantly. They really do demand attention, and need time and patience. Being of medium size (between 18 and 22 inches at the shoulder) they are an ideal pet in the home, some do like to live in outside accommodation, but the majority prefer to be indoors with company of humans. Samoyed coats are usually white, but can be cream, and can also have patches or shades of biscuit. They have a soft undercoat and a longer, harsher outer coat, which carries the silver tips that look stunning in strong light. They do shed their coats each year, at which time hours can be spent combing out the undercoat. This can last for several weeks, so if you have a Samoyed, be prepared for stray hairs around the house. Males usually carry a heavier coat than the females, but they do not shed their coats so often. A Samoyed’s coat is weather resistant and acts as insulation in the cold weather, they can however tolerate the summer months, as their white coats also reflects the heat. 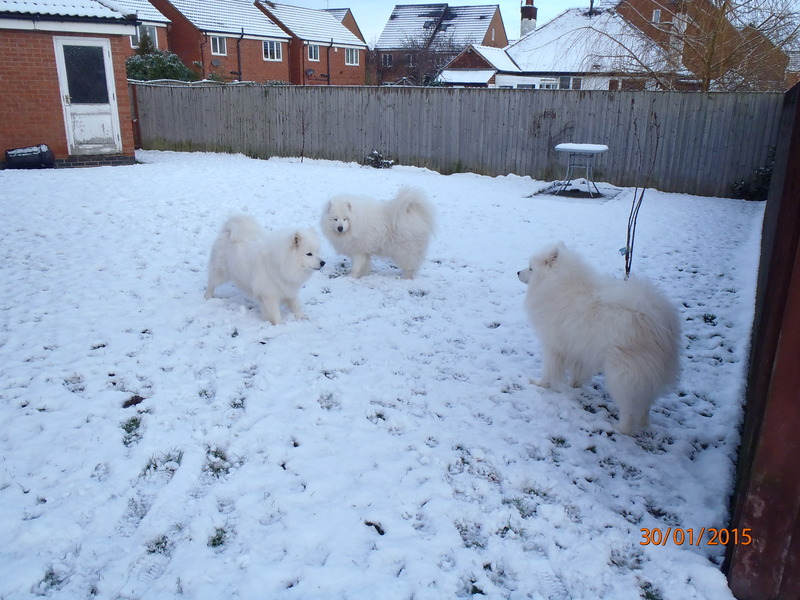 The Samoyed, being a Nordic breed carries no ‘doggie odour’. 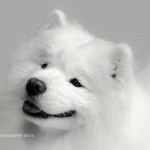 Samoyeds usually live to a good age (12-15 years) during which time they can give you so much fun and pride. They can be successfully trained in all manner of things providing you give them the time. They really are the ‘happy breed’.